Mumbai, March 23 (IANS) He is facing what he calls “nonsense” for his comment on the beef ban in Maharashtra. 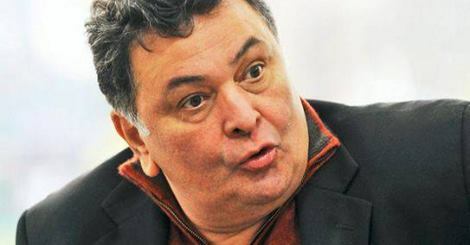 But veteran actor Rishi Kapoor, who says he doesn’t eat beef in India, is undeterred in reiterating that food and religion must not be equated. The controversy began when Rishi, from his Twitter handle @chintkaps, posted: “I am angry. Why do you equate food with religion?? I am a beef eating Hindu. Does that mean I am less God fearing then a non eater? Think!!”. He was brought back to Twitter by Abhishek Bachchan, but he never thought he’d land up in a hot sticky beef stew of a controversy so soon after his return to micro-blogging. “I am being abused. My family is being abused. As if we are a family of cow-killing infidels. What nonsense,” Rishi said. To recap the events leading to the controversy, Rishi said: “I was shooting on March 15 at a five-star hotel. We took a break for lunch in the coffee shop where for buffet lunch I suddenly see venison, kangaroo and lamb meat on offer. Rishi then tweeted his thoughts on the matter, and before he knew it, “the entire nation took off on me”. “You can’t deny the fact that animals are cut for meat. Hindu organisations that have attacked me. They want me to be vegetarian. But I am not! And that’s my choice,” he said. “What wrong did I say? People have simply chosen to twist my words. They are abusing me and my family. If our Hindu culture forbids beef meat, does the same culture give you the right to abuse me and my family just because I have an opinion that you don’t agree with? “If by banning beef the restaurants are going to find alternative meat, then what is the point? What about fish farming? That occupies so much of our work force close to the sea, should we stop eating fish as well? I repeat, I don’t eat beef in India. He feels the choice of being a vegetarian or otherwise is entirely personal. “Please do not equate food with religion. I believe it’s not my khaana (food), but my karma that makes me a good human being. All these rules of living are man-made. I respect these religious rules.